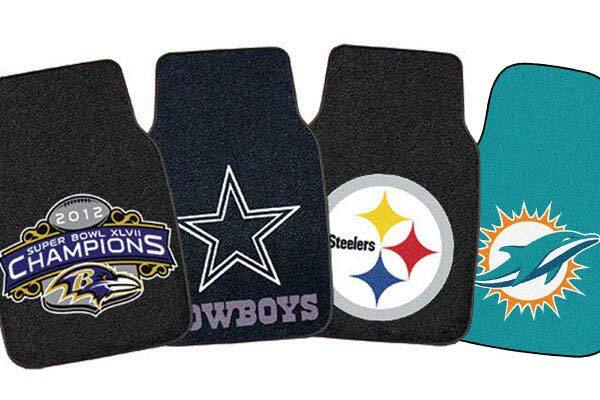 FANMATS 5826 - FANMATS NFL Carpet Floor Mats - FREE SHIPPING! I was impressed when I received these mats. Beautiful just wished you had the rear mats to match. I was very pleased with my purchase. They came in a timely manner and are of good quality. I didn't think the price was bad either. I don't mind paying for a quality product that will hold up. Who wouldn't love ANYTHING Steelers?? Just what I needed. Real easy to pick up, shake out and replace. 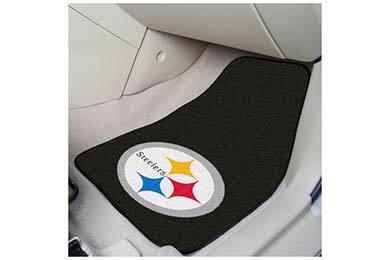 I am very happy with my Steelers floor mats. Our only complaint is that the one on the passenger side will not stay put. It keeps creeping up and we have to keep adjusting it. Other than that, they are perfect. received the mats gave to my wife for christmas she loved them. myself having been in the automotive world from age 9 now 44 the mats are very thin and flimsy. appearance is great but when your feet push on the mats when entering or exiting the car they tend to roll up. we even placed them on top of the existing factory mats. no help with the rolling. overall for looks fantastic. for performance not so good. hope this helps. i myself would not purchase them again. The quality and colors are great. Perfect addition to the rest of my fan gear. Steelers Fanmats NFL Carpet Floor Mats! Good quality, the Steelers Fanmats I ordered was a big hit! I'll be ordering another set for the back floor. Reference # 765-031-650 © 2000-2019 AutoAnything, Inc.